Every individual should know this advice by heart: PAY YOUR TAXES! When you don’t pay your tax, the Internal Revenue Service (IRS) will send you a notice. It sounds quite insignificant, but it’s actually quite inconvenient. Once you get an IRS notice, don’t ever ignore it. Read it immediately and reply. Comply with whatever it is that you are required to do. But if you want to dispute what the IRS raised, then put it in your reply-letter. If you don’t have enough money to financially comply with the IRS demand stated in the notice, pay anyway. Pay as much as you can because it is an indication of goodwill. If you ignore the IRS notice, chances are the government will immediately put you on automated collection. The IRS Automated Collection System (ACS). This is like a call center of sorts where agents contact taxpayers in a bid to have tax debts paid. The ACS can issue liens or levy bank accounts, which are more dire consequences of unpaid taxes. Some citizens look forward to tax refunds. The IRS gives a refund when one pays more than his tax liability. However, if you have a tax liability and are due for a refund, forget about it. The IRS will be keeping that refund. But the advantage here is that you’re tax debt will be reduced—or paid in full depending on the amount of both the refund and the tax debt. If you don’t pay your tax debt immediately, it will only balloon to something unaffordable. The IRS imposes interest rates on tax debt. The latest rate is at five percent every year. That’s already a lot and an expense that you don’t really need. As if a five percent interest on tax debt is not bad enough, the IRS also imposes penalties on unpaid taxes. It is officially called a failure-to-pay penalty. The regular penalty rate is 0.05 percent per month. However, if you ignore multiple notices, the IRS has the option to raise the penalty to one percent every month. That would mean a 17 percent interest every year for your tax debt—interest and penalty included. And these are unnecessary expenses. You could have saved this amount and benefit from it. On the bright side, if you have an agreement with the IRS—a payment plan of sorts—then the government will reduce the penalty rate to just 0.25 percent. Now on to more serious matters: a tax lien. When you don’t pay your taxes despite several notices, then the IRS will issue a Notice of Federal Tax Lien. The lien alerts creditors about your tax debt. This means you can’t easily sell properties or used any of them in a mortgage. The lien is like a tag on what you own indicating that the IRS has a stake on them. You really don’t want it to reach this point. For one, a tax lien is a public record. 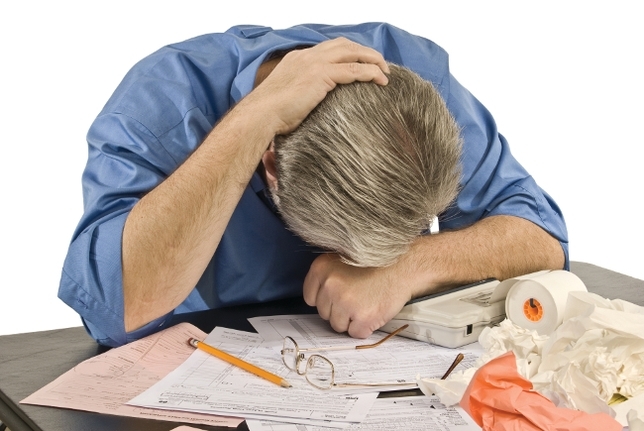 It is embarrassing to have a tax lien on any of your properties. Secondly, this will gravely affect your credit score. It is worth noting, though, that once you have an agreement with the IRS about payment terms of your tax debt, the IRS will not feel the need to issue the tax lien. Also, the tax lien is usually reserved for those with tax debt over $100,000. However, even with that information, you really shouldn’t ignore notices from the IRS. At least reply to them so that it won’t end up in a lien. On another note, declaring bankruptcy will not erase your tax debt or the lien on your properties. WAGE LEVY. This means that the IRS would take part of your salary as a sort of amortization to your tax debt. But when you agree on a payment plan with the IRS then chances are the levy would be stopped. A wage levy is highly inconvenient especially if you already have a budget for your salary every fortnight. ACCOUNTS RECEIVABLE LEVY. If you have money coming in from side businesses, you might as well expect that it won’t reach your hand if the government has put a levy on it. The IRS has the right to levy your extra earnings if you have a tax debt. And just like the wage levy, the IRS will withdraw the levy once payment has been satisfied or at least a payment scheme has been agreed upon. BANK LEVY. If you have savings in the bank, these will be in danger of being taken by the IRS if you fail to pay tax debt. 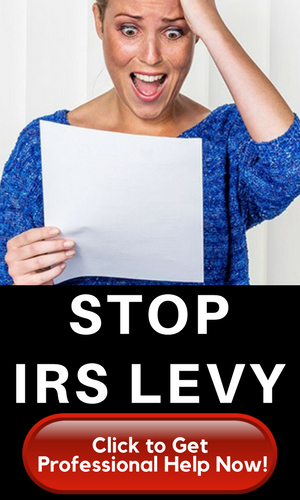 Just like any other levy, getting into a payment term with the IRS will stop the levy from continuing. If you have been ignoring your notices, the IRS might send a revenue officer on you. You don’t want this kind of embarrassment, especially if they show up in your office or when you are having a downtime with your friends. The IRS also has the authority to prevent you from traveling abroad if you have a large unpaid tax due. When you are labeled a “seriously delinquent” taxpayer, you better say goodbye to your travel opportunity abroad. The government does this by putting a travel restriction on your passport. If you don’t have a passport yet, then this would hinder your ability to apply for one. But you would only be called a “seriously delinquent” taxpayer if you owe the IRS over $50,000 and you have repeatedly ignored notices of tax delinquency. 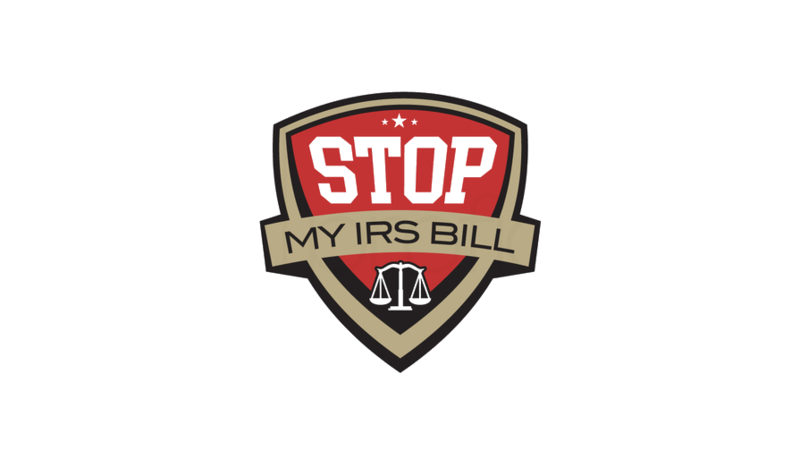 The IRS might be its own agency but if it turns over your case to a debt-collection agency, then you are in for a worse kind of hassle than just dealing with the IRS. This type of agency only has one goal in mind: to get tax delinquents to pay back taxes. Some of them could treat you nicely, while others could treat you like a common criminal. Any of these consequences will not be good for you. But in order to prevent any of this, you only have to remember two things: 1) pay your tax debt; but if you can’t, then 2) sign a payment plan with the IRS.